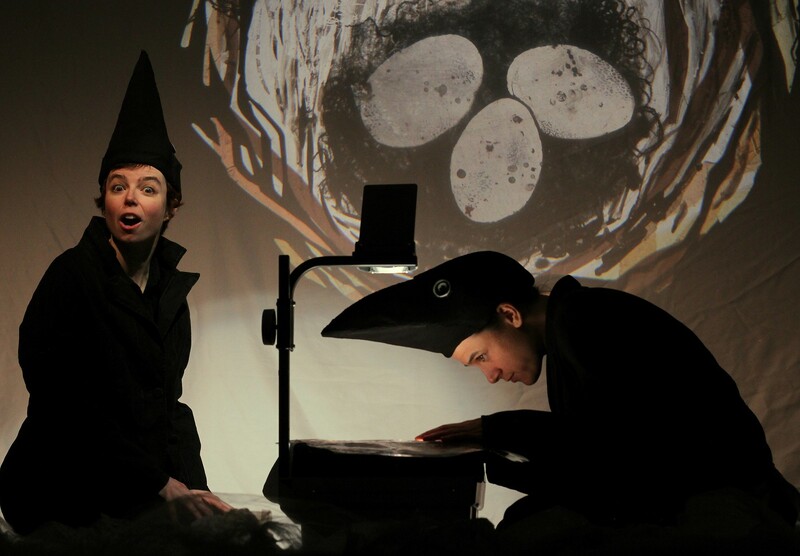 "sweeping, impressionistic and visually stunning"
"the ingenuity and artistry on display is breathtaking"
Mind of a Snail is a shadow puppetry duo currently based out of Vancouver BC. Since 2003, Chloé Ziner and Jessica Gabriel have been developing a multilayered style of visual storytelling using overhead projectors as their main light source. Their performances play at the intersection of puppetry, visual arts, clowning & music. As artistic collaborators, they are interested in exploring beyond the boundaries of traditional theatre, and creating magical immersive experiences for their audiences. 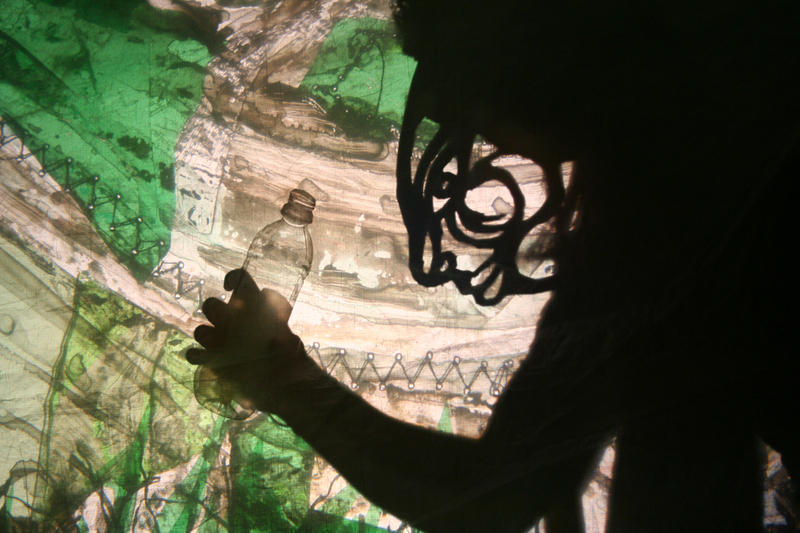 Mind of a Snail’s shadow theatre is like an early animation created live before your eyes. They have created work for many organizations, including Vancouver Art Gallery, Telus World of Science, Persephone Theatre in Saskatoon and numerous others. They have also performed in theatre & arts festivals across Canada such as Intrepid Theatre’s Winterlab in Victoria, Revolver Festival in Vancouver, Summerworks in Toronto, Casteliers International Puppetry Festival in Montreal, Festival International des Arts de la Marionnette à Saguenay and many more. In the spring of 2017 they performed their show “Caws & Effect” at Taiwan International Festival of the Arts, Tainan Arts Festival & Taitung Arts Festival in Taiwan. 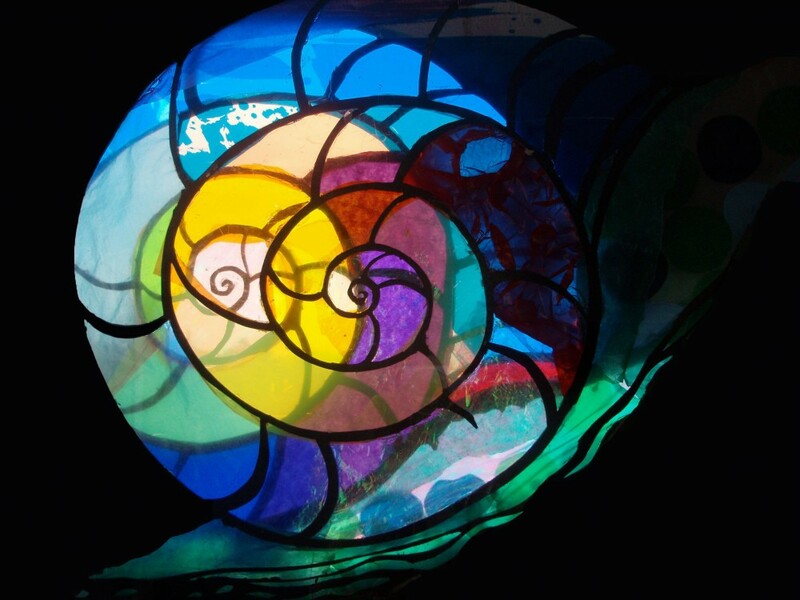 Mind of a Snail’s latest show, “Multiple Organism” won a 2018 Jessie Richardson Theatre Award, Critic’s Choice for Innovation. Multiple Organism also won the Artistic Risk Award, Cultchivating the Fringe Award, Critic’s Choice and Pick of the Fringe at Vancouver Fringe in 2017. 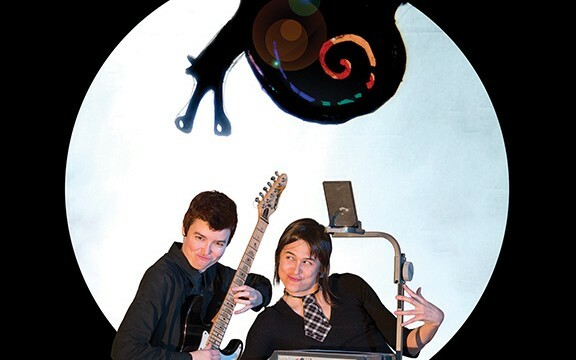 Their show “Curious Contagious” won Patron’s Pick at Toronto Fringe, Pick of the Fringe at Vancouver Fringe, and Most Daring Show (chosen by Theatre in London reviewers for risk and innovation) at London Fringe when it debuted in 2016. In the last 2 years, “Caws & Effect” won Best-of-Fest/Patron’s Pick awards in Edmonton, Orlando, Toronto, Winnipeg, Vancouver, London ON and Saskatoon Fringe. They were nominated for Outstanding Projection Design for Persephone Theatre’s production of “Matchstick” at the SATAwards in Saskatoon. Their show “Against Gravity” was presented as part of the Summerworks National Series in 2014, and also received the Vancouver Fringe Festival’s Joanna Maratta Award for professional development in 2013. They were key collaborators in the Dusty Flowerpot Cabaret’s 2011 Jessie Nominated “Hard Times Hit Parade”. We acknowledge that we are living, working and making art on traditional and unceded Coast Salish territories, specifically that of the xʷməθkwəy̓əm (Musqueam), Skwxwú7mesh (Squamish), Stó:lō, and səlil̓wətaʔɬ/Selilwitulh (Tsleil-Waututh) Nations.